Julie Ann Giroux was born 1961 in Fairhaven, Massachusetts, and raised in Phoenix, Arizona and Monroe, Louisiana. She received her formal education from Louisiana State University and Boston University. She studied composition with John Williams, Bill Conti and Jerry Goldsmith, to name a few. Julie is an accomplished performer on piano and horn, but her first love is composition. She began playing the piano at the age of three and had published her first piece at the age of nine. In 1985, she began composing, orchestrating, and conducting music for television and films. Within three hours after arriving in Los Angeles, she was at work on the music for the Emmy Award winning mini-series North and South, followed soon by work on the television series Dynasty and The Colbys, as well as the films Karate Kid II, White Men Can’t Jump, and Broadcast News. She received her first Emmy nomination in 1988 for North and South Part II - Love and War, and over the next three years was nominated each year for her arranging and original compositions for the Academy Awards show. To date, Julie has well over 100 film and television credits and has been nominated for an Emmy several times. When she won her first Emmy Award, she was the first woman and the youngest person ever to win the award in that category. Julie has also been privileged to arrange for Celene Dion, Paula Abdul, Dudley Moore, Liza Minnelli, Madonna, Reba McIntyre, Little Richard, Billy Crystal, Michael Jackson and many others. 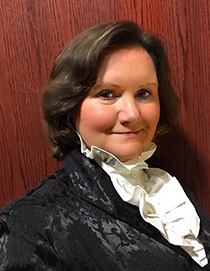 Julie is an extremely well rounded composer, writing works for symphony orchestra (including chorus), chamber ensembles, wind ensembles, soloists, brass and woodwind quintets and many other serious and commercial formats. She began writing music for concert band in 1983, publishing her first band work Mystery on Mena Mountain with Southern Music Company. Since that time, she has composed and published numerous works for professional wind ensembles, military bands, colleges and public schools and has conducted her music in clinics worldwide. She is also a very well received speaker and clinician. Julie is a member of the American Society of Composers, Authors, and Publishers (ASCAP).